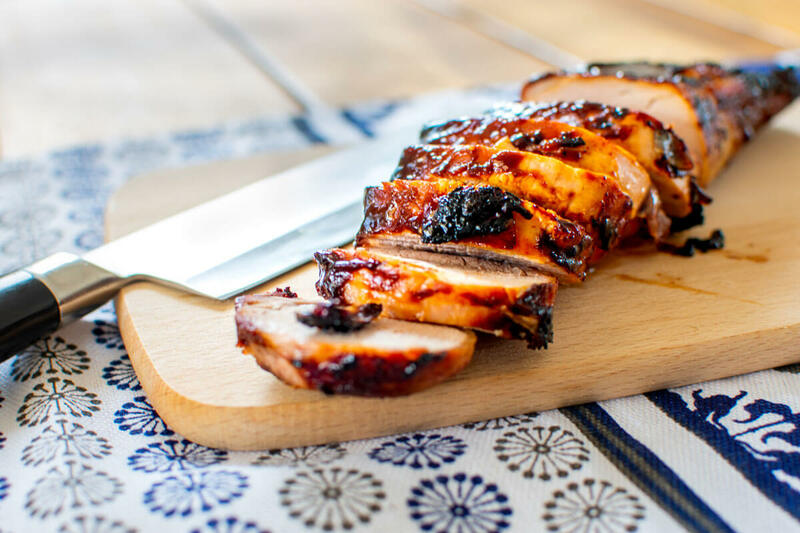 Char Siu is a popular Chinese Barbecue dish. It’s made with the most tender part of the pork, the lender. Since I absolutely love everything that is Asian (well, I love all types of international dishes without discriminating), we decided to recreate one of our most favorite take-out dishes. I find Char Siu to be best combined with a delicious and simple bowl of noodle. One that does not overpower the taste of the Char Siu. When it comes to anything Asian related, Fabian is my chef. He has this amazing interest in Asian dishes, but also a keen palette to create incredibly tasty Asian dishes. 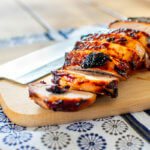 So, this Char Siu recipe is all his doing! I don’t know about you ladies out there, but I love when Fabian cooks, and it has nothing to do with his cooking skills. He has this thing that every time he cooks, he taste his food in between and does a happy dance and happy sounds. He almost thinks he’s some judge on MasterChef judging his own food. Is this a thing all men do? But, whenever something goes wrong he gets seriously mad, to the point of giving up. Then I start laughing and he gets even madder. So when he started creating his Char Siu recipe, playing with the spices, and marinating the meat, he kept coming into my office and telling me how delicious it’s going to be. I kept hearing him say: “Hmmmmm, hmmmm, hmmmmm! Oh, this is going to be good!” Can you imagine hearing a man repeating this like 50 times in one night? But, it didn’t stop there. The next day he had to roast the meat. I swear I saw him drool in front of the oven. Not kidding! Joke aside, that’s what I love about him. He truly enjoys the process of cooking and savors every moment and every taste. He’s emotionally invested in whatever he’s making at that moment and that’s what cooking should be about. The love for preparing something for yourself or somebody else. I love preparing unique dishes for my guests. Dishes I know they will love because nothing fills me with more joy than seeing them happy because of something I did. This blog is dedicated to that process, to that emotion. I bring into your home unique recipes that you only had when dining out or might have never heard of in the first place. I give you the opportunity to make them in the comfort on your own home and share it with the people you love the most. 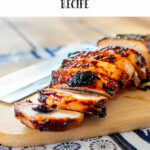 Can you believe a “simple” Char Siu recipe can do all that? I can! 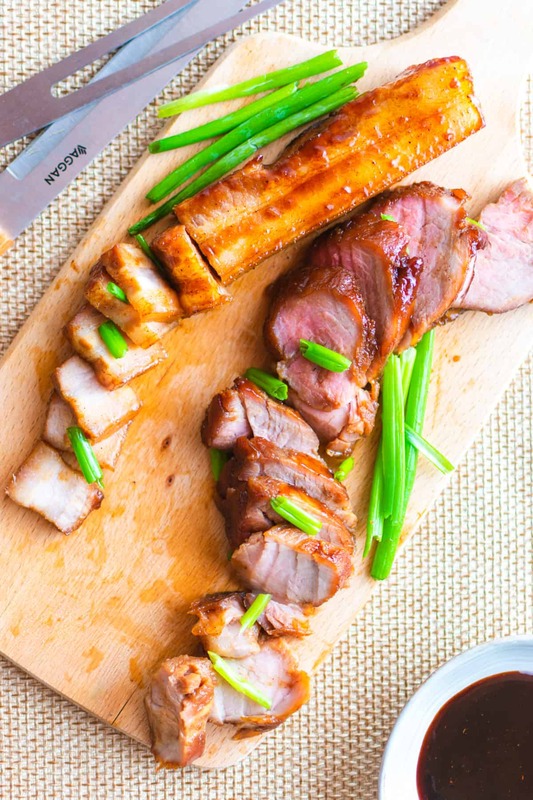 Char Siu is a popular Chinese Barbecue dish. 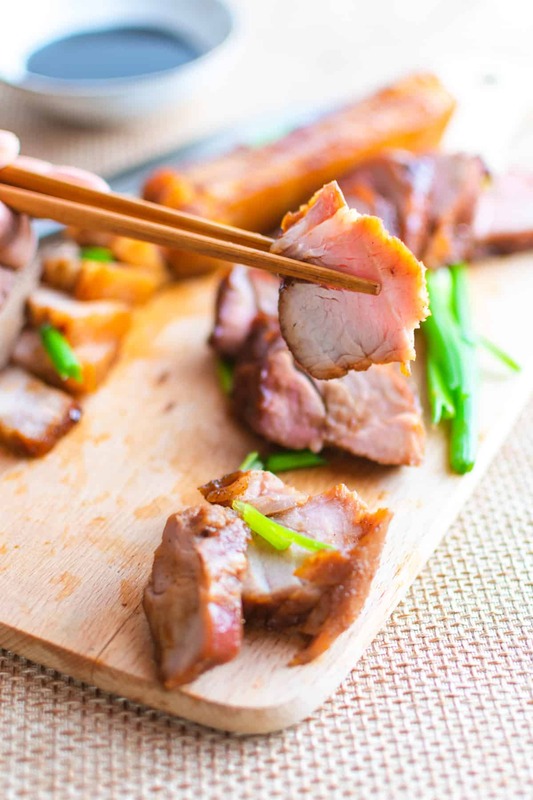 It's made with the most tender part of the pork, the lender, and roasted with flavorful glaze. Place the pork tenderloin pieces in a large ziplock freezer bag. For the marinade finely grate the garlic and ginger and add all the ingredients for the marinade into a mixing bowl and mix well. Add the marinade to the pork tenderloin in the ziplock freezer bag and make sure the pork is coated on all sides. Refrigerate for at least 2-3 hours, or preferably overnight. Before roasting the pork, let it come to room temperature in the marinade. This will take approximately 30 minutes. Preheat the oven to 350°F (180°C) (without fan). Half fill the large baking pan with boiling water but make sure that the pork does not touch the water. This will help tenderize the meat. Remove the meat from the ziplock freezer back and put the marinade aside to use later. Place the pork tenderloin into the large baking pan and roast for 30 minutes in the oven, baste the pork every 10 minutes with the marinade. In the meantime, put the marinade into a saucepan and add the two tbsp of honey and one tbsp of brown sugar. Let the sauce boil first and let it then simmer for a few minutes. Make sure the sauce is thick like syrup. Baste the pork every 10 minutes with the sauce using a brush. Turn the oven to grill mode on high heat after the 30 minutes have passed and place the baking pan as high as possible in the oven. Every 3 minutes baste with a brush and make sure the pork tenderloin is browning and not burning. 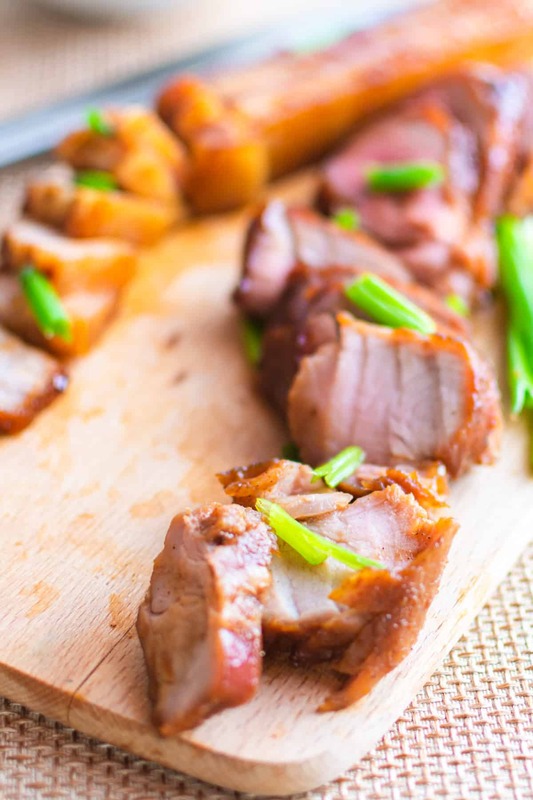 When the pork tenderloin has caramelized, remove the baking pan from the oven and let the pork rest before slicing. This will take about 10 minutes. Cut the pork into pieces and serve with the sauce poured on top of it.